We had so much fun with out ladybug one more one less activity that we decided to create a summer version as well. 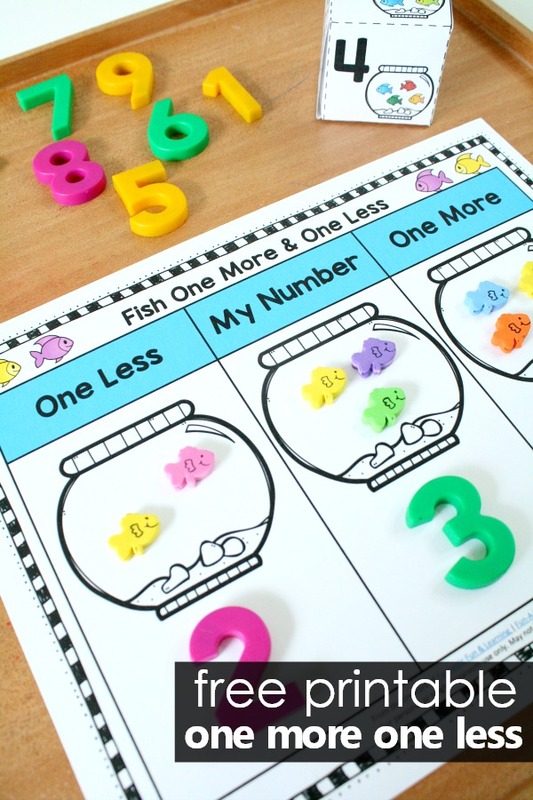 Working on number sense skills in the early years as kids are working with smaller numbers is extremely helpful, and it can be fun too! 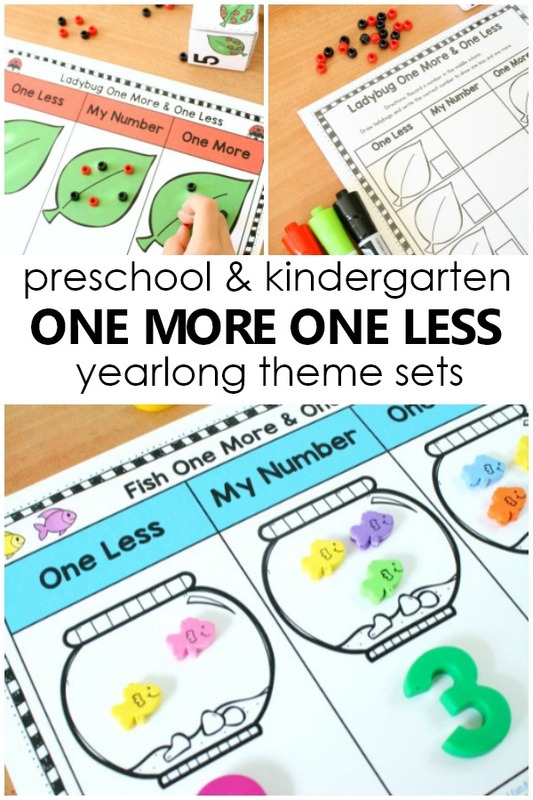 These one more one less games make it easy for you to prep and fun for kids to play as they learn. 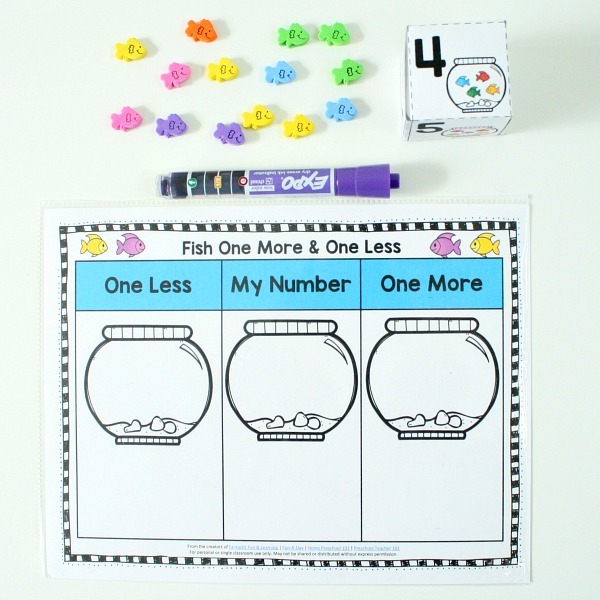 In this one more one less number sense fish math activity kids will have fun using fish theme manipulatives to show a number and then identify the numbers that are one more and one less. 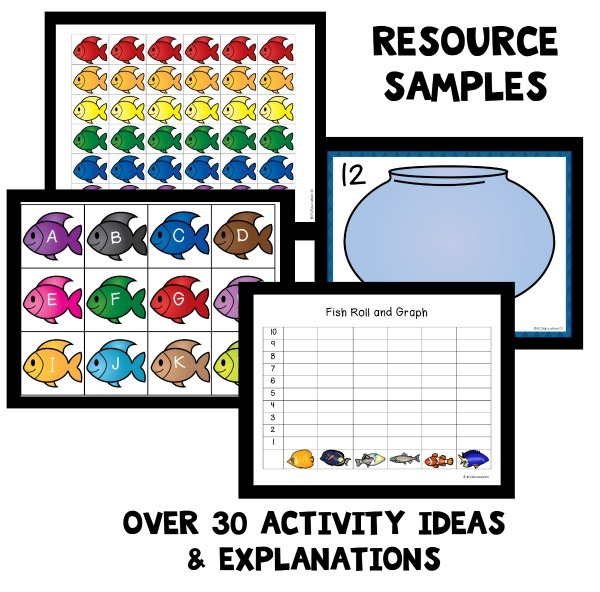 This activity goes great with a summer theme, fish theme, or ocean theme for preschool or kindergarten. There are a few different options for using this printable. First you can use it solely with hands-on materials. We used fish foam beads and magnetic letters to start. This is a terrific way to introduce the activity to kids for the first time. 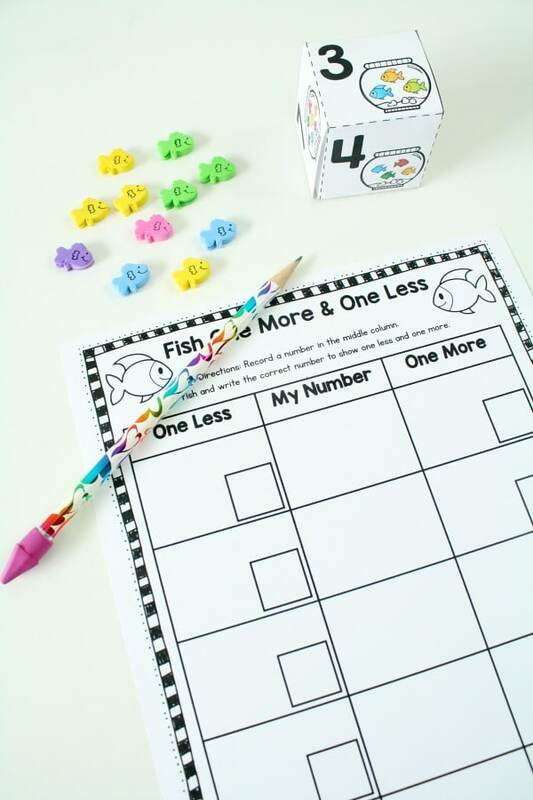 Then you can incorporate number writing practice by using dry erase markers. Simply laminate the game boards or put them in a clear sheet protector. 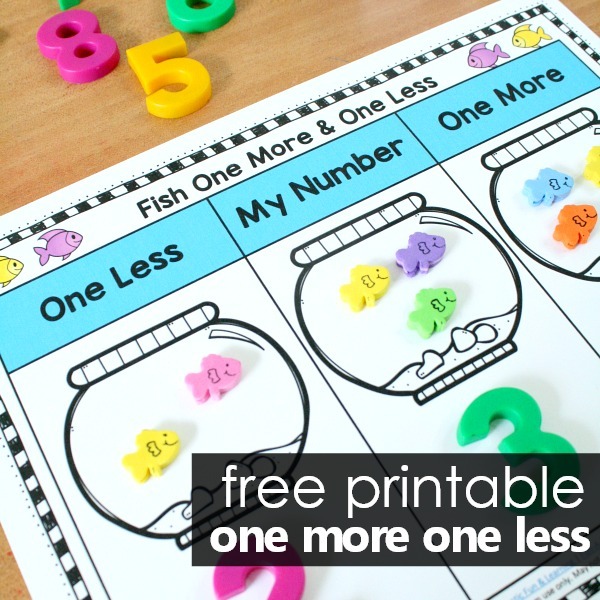 This works well for independent practice or math centers. Finally once kids have had multiple opportunities for practice you can introduce the optional recording sheet. This can also be laminated and reused or you can write directly on the recording sheet for single-use. This is helpful for documenting kids’ progress or sending work home if needed. the black and white recording sheet. Need More One More One Less Practice? Get 15 One More One Less Sets to practice all year long. 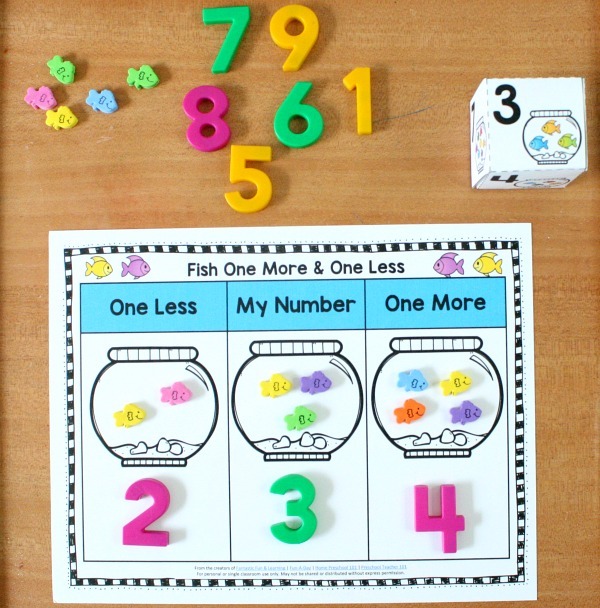 This gives preschoolers and kindergarteners the opportunity to develop a deep understanding of this important number sense skill. 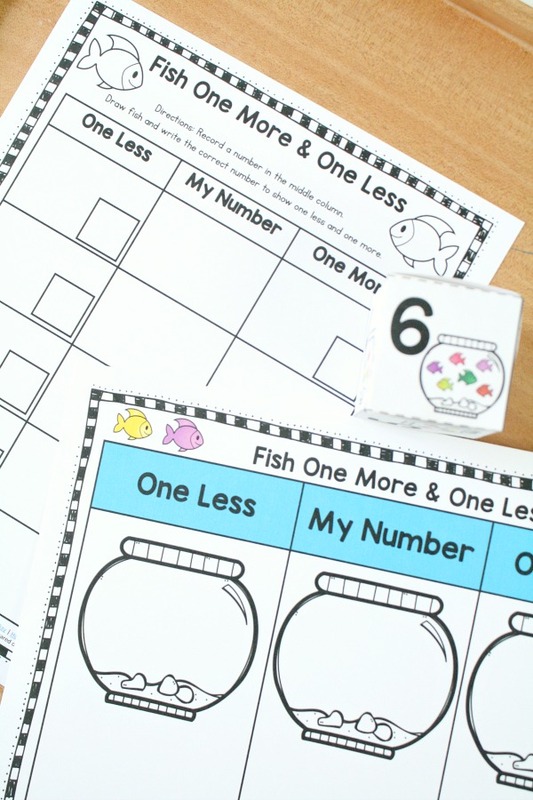 Take a peek at some of the math game mats included in this set.